Marathon Flat Free tires provide the bounce and load handling characteristics similar to an air-filled tire with the benefit of never going flat. 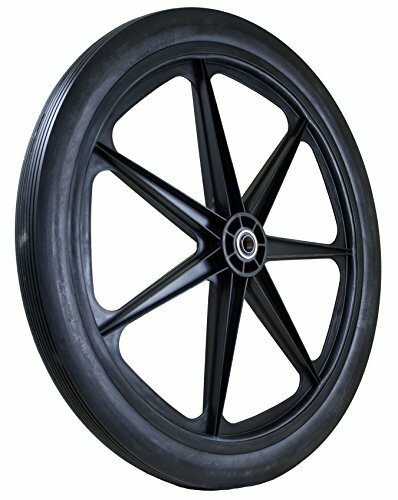 24x2.0-inch flat free cart tire on black, plastic, 7-spoke rim. Flat free tire made of solid, polyurethane foam. non-marking. ribbed tread. Perfect for garden carts and marina carts. Plastic rim will not rust!